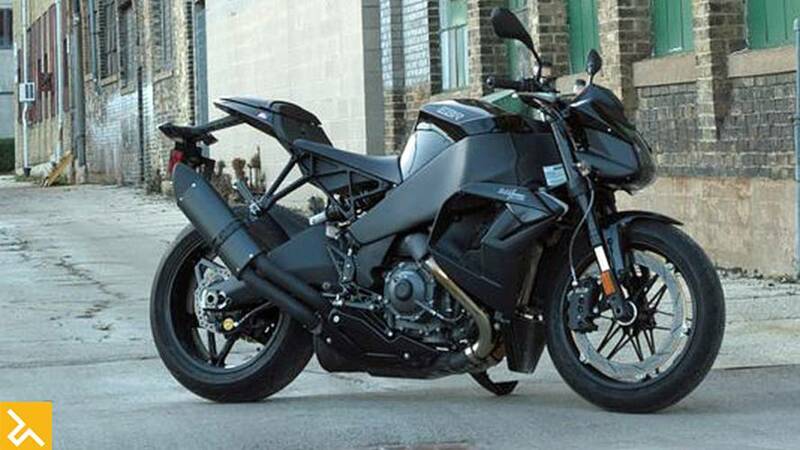 About a month after the reports that EBR filed a trademark patent for the name Black Lightning, an image has surfaced from EBR that shows the low slung black bike in all of its EBR glory. Apparently it is based on the V-Twin powered EBR 1190SX sportbike with a few modifications aimed at making it a bit less sporty and a little bit more street oriented. At first glance, the lower seat and blacked-out bodywork sure looks like it was aimed at the short emo chick category but the burning question is, will it strike a chord with the public once they see it in person? EBR plans to unveil their new motorcycle this weekend at the IMS Long Beach and since we will be there on scene, we promise to bring you more coverage, specs and additional details as they are provided to us at the unveiling on Friday Nov 18, 2016.